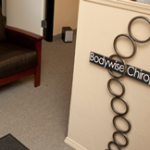 Dr. Bobbie is extremely knowledgeable and very friendly. If you are having any type of issues whether it’s from being on the computer too much, a sports injury or anything… go see Dr. Bobbie. She will fix it for you!